Want freezers in tip top condition? Call us for services! Is there an urgent problem? Let us assist you! We are home freezer repair Newark experts and can fix any brand and model distributed in the New Jersey state. Our company offers local services and is available to help on a same day basis. No freezer problem is minor. Anything about this appliance is extremely important. The temperatures must be ideal and the appliance must close airtight in order to protect your items. Is there a problem with the gasket? Call our Appliance Repair Newark NJ company. We can replace the seal and any other damaged freezer part in no time. When it comes to freezers, the time of our response is very fast. Our company provides emergency freezer repair in Newark, NJ. Contact our team even for tiny problems. If the temperatures are too high or too low, food stored in the freezer will go bad. If the door doesn’t shut right, energy will escape. You won’t only pay higher bills but will also have to throw away food. Our technicians are experienced in freezer repairs. We check the appliance, troubleshoot its problems and have the spare parts to make the necessary replacements at once. Whether you own a freestanding or fridge/freezer unit, our experts can take care of its problems. With extensive knowledge of all freezer types but also ice makers, we can fix your kitchen appliances in a jiffy. The fan, thermostat or compressor of the appliance might get worn. The freezer might over cool your stored food and the ice maker might have stopped making ice. In any case, you can depend on our fast response residential freezer repair service in the Newark area. We are qualified, certified and well-trained technicians and you can rely on our commitment to providing you fast and effective professional freezer services. Don’t take chances with your health! Don’t waste money and energy! 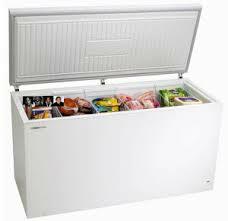 Call us now for your freezer needs.